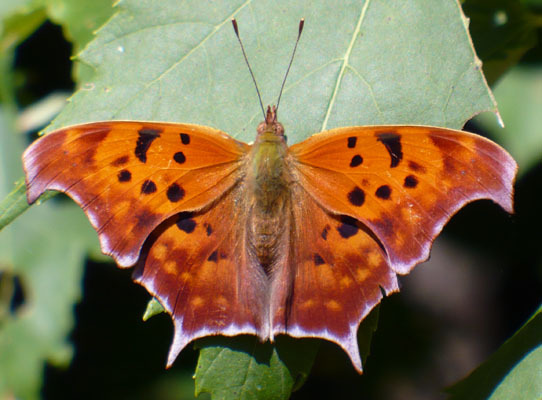 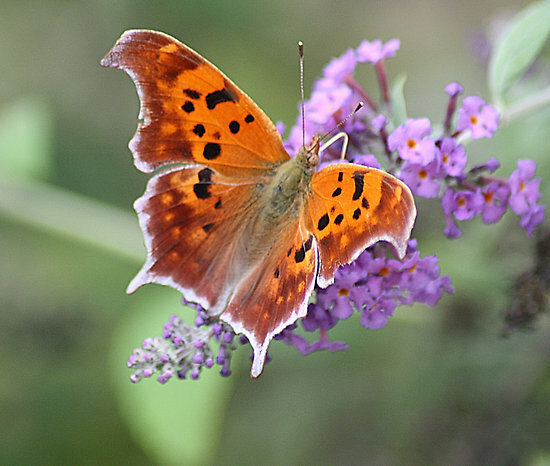 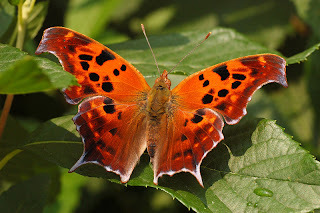 The Question Mark (Polygonia interrogationis) is a North American nymphalid butterfly. 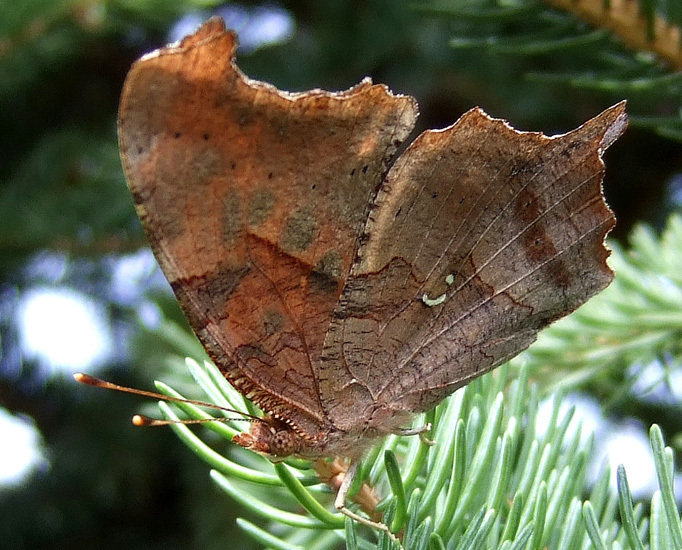 They live in wooded areas and city parks, or generally in areas which feature trees and free spaces. 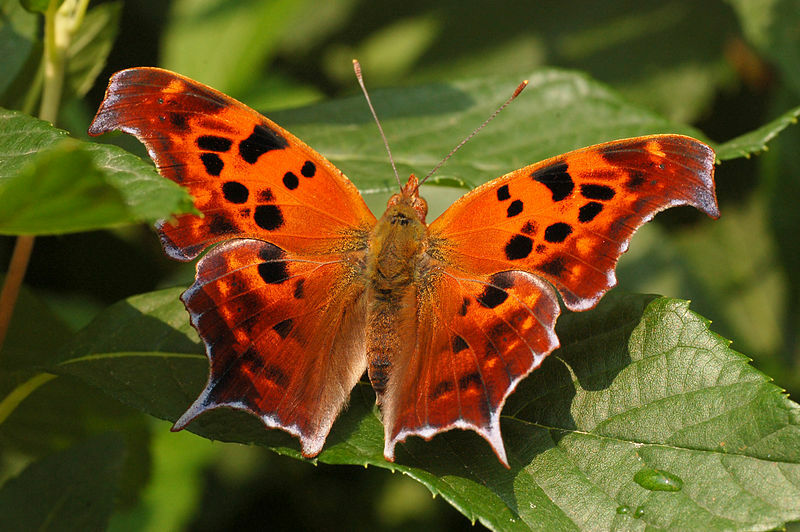 The adult butterfly has a wingspan of 4.5–7.6 cm (1.8–3.0 in). Its flight period is from May to September. "The silver mark on the underside of the hindwing is broken into two parts, a curved line and a dot, creating a ?-shaped mark that gives the species its common name."